NJ Transit is looking at converting the former CNJ easat of Cranford into a busway. Ouch! The fourth Raritan Valley Rail Coalition Meeting for 2011 has been rescheduled to Monday October 3 at 8:30 a.m. in the Freeholders Meeting room located in the Somerset County Administration Building. The featured presentation at the meeting will be Mr. Tom Schulze, Senior Director, Capital Planning, NJ Transit. Mr. Schulze will provide an overview of the soon to start Union County BRT Study. The study will examine operating BRT service along the old CNJ rail line. Updates for other projects will be provided at the meeting. NORFOLK, VA. - James A. Squires, executive vice president finance and chief financial officer of Norfolk Southern Corporation, will address the 2011 Citi Global Industrials Conference at 10:30 a.m. EST on Wednesday, Sept. 21, 2011, in Boston. Interested investors can listen via simultaneous webcast at http://www.veracast.com/webcasts/citigroup/industrials2011/74104336.cfm. The presentation will be posted at http://www.nscorp.com/. A little late with this item. Sorry. A Central New Jersey train crashes into Newark Bay, killing 48. Investigators find that the engineer, Lloyd Wilburn, ran through three warning signals, missed the raised drawbridge, and did not attempt to apply the brakes until the train was eight feet away from the edge. It is one of the worst crashes in the Northeast U.S.
Tickets $50 per person but seats are limited! Trip will run from Lambertville, NJ and New Hope, PA. Steam up and down the Delaware on the Delaware River Steamboat SPLASH, then relax as you travel through the rolling hills and valleys of historic Bucks County, Pennsylvania aboard the picturesque New Hope & Ivyland Railroad. The boat ride will depart from Lambertville, NJ and the train ride from New Hope, PA, which is just a short walk over the Delaware River Bridge. Between trips enjoy lunch on your own at one of the many restaurants on either side of the river. Tickets are $50 per person. Due to the size of the boat, there is a limit of 45 passengers per trip, with 2 trips being offered, one in the morning and one in the early afternoon. Tickets for the morning boat trip will be sold first. Parking for the day is free and is available at the boat launch in Lambertville. Exact directions and information will be included with your tickets. The boat does not run if it is raining, so the rain date is September 25th. In the event of rain, passengers will be notified on Friday evening September 23rd. No refunds will be offered after September 19th. PS: We realize that this fund raising event may not be directly on topic for this group. But, many of us have families and have need for rail related activities that are fun for the rest of the family, not just the rail buff! Some may have a friend who is not as into fanning as you and would appreciated this trip. Please forward to them! Copyright © United Railroad Historical Society of New Jersey, Inc., 1999-2011. All rights reserved. 9 11 a day the railroad will remember forever! Let us never forget 9-11. This day 10 years ago we preparing to run Dunellen Railroad Days. The tragedy that is 9-11 changed all of our lives forever. We were busy moving the train to Dunellen for our yearly Dunellen Railroad Days. The events of that Tuesday not only delayed the event but In fact, it set in motion events that would make Philipsburg our permanent home. On Sunday remember our friends and family that we lost that day, and say thank you to those who assisted in the rescue efforts ( some of our train crew was there). NORFOLK, VA. - Demonstrating a commitment to industry leadership in corporate sustainability, Norfolk Southern Corp. (NYSE: NSC) and GE Transportation (NYSE: GE) today are sponsoring the first Railroad Sustainability Symposium. More than 50 U.S. and international rail industry leaders and outside experts in sustainability are attending the inaugural event to share insights into how sustainability can be incorporated into core business strategies and overall performance. The event is being held at GE's John F. Welch Learning Center in Ossining, N.Y. Planned as an annual gathering, the symposium is designed to facilitate the exchange of ideas and best practices in sustainability. It positions Norfolk Southern and GE Transportation at the forefront of industry efforts in sustainability, the practice of mitigating the effects of railroad operations on the environment while improving business efficiencies. "We all understand that rail transportation is the most environmentally friendly means to move freight, and that we can reduce highway congestion and greenhouse gases by doing so," said Blair Wimbush, Norfolk Southern vice president real estate and corporate sustainability officer. "Given our use of diesel fuel for locomotive power, we also understand the need to improve our fuel economy. This symposium is a great opportunity to learn how to better measure and communicate the environmental impact of rail operations in order to take our sustainability efforts to an even higher level." "With domestic and global railroads, industry influencers, and sustainability thought leaders in attendance, this is an ideal forum to have a candid dialogue on where the industry is from a sustainability perspective, where it can be, and what it takes to get there," said Pete Lawson, ecomagination leader at GE Transportation. "It's about economic growth and competitiveness and improving the environmental footprint of not only our own operations but also of our customers' operations." Speakers and panelists at the symposium are covering topics such as best practices in carbon, energy, and water management; ways to leverage sustainability to increase profitability, efficiency, and business value; and how to effectively communicate the sustainability message to customers, employees, and the public. The symposium coincides with Norfolk Southern's release of its fourth annual sustainability report, which is available online at http://www.nssustainability.com/. Established more than 100 years ago, GE Transportation, a unit of General Electric Company (NYSE: GE), is a global technology leader and supplier to the railroad, marine, drilling, mining, and wind power industries. GE Transportation provides freight and passenger locomotives, signaling and communications systems, information technology solutions, marine engines, motorized drive systems for mining trucks and drills, high-quality replacement parts, and value added services. GE Transportation is headquartered in Erie, Penn., and employs approximately 10,000 employees worldwide. 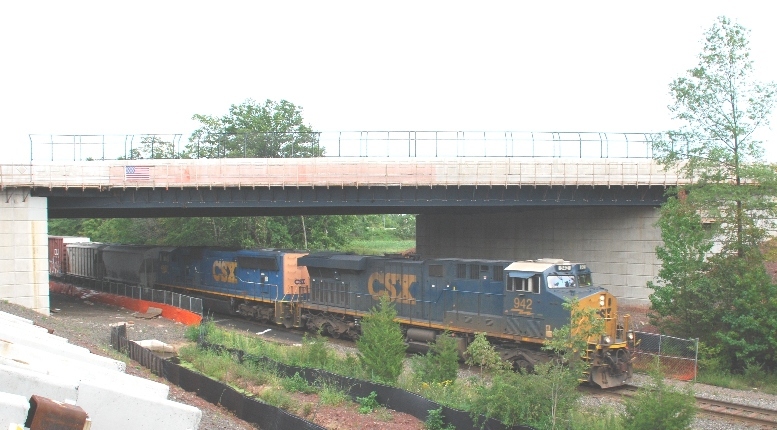 For more information, visit http://www.getransportation.com/. Flooding in areas of eastern Pennsylvania and New York due to heavy rains and the remnants of Tropical Storm Lee, are impacting operations over Norfolk Southern's Southern Tier line between Buffalo and Binghamton, New York. Shipments moving into areas on this line and to points north and east will encounter delays. This includes shipments to and from points in eastern New York and Massachusetts, and shipments to connecting carriers in this area. Also affected is the line between Harrisburg, Pennsylvania, and Baltimore, Maryland. Shipments to locations on this line and to points on the Delmarva Peninsula will encounter delays. Updated ETA and routing information is always available through Pacesetter (Norfolk Southern's web based pipeline management tool), and accessNS. Customers with questions regarding local service should contact their Central Yard Operations Representative. NORFOLK, VA. - Norfolk Southern has filed objections with the Chief Administrative Law Judge of the U.S. Department of Labor to Aug. 8, 2011, findings of a Regional Administrator of the Occupational Safety and Health Administration (OSHA). 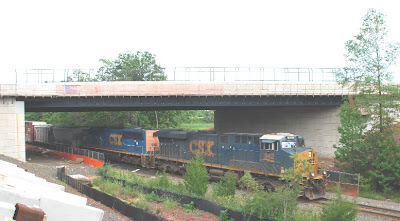 In the involved findings, OSHA concluded, after an investigation, that Norfolk Southern's 2009 dismissal of a maintenance-of-way employee was retaliation for his reporting a workplace injury and thus in violation of the Federal Railroad Safety Act. The filing of objections by Norfolk Southern means that an Administrative Law Judge will consider de novo, in a full evidentiary proceeding, OSHA's findings of retaliation in the instant individual complaint, findings with which Norfolk Southern strongly disagrees. Norfolk Southern takes very seriously its legal and ethical obligations for accurate injury reporting and fair treatment of employees. Norfolk Southern has set forth in its detailed objections the bases for its complete disagreement with OSHA's decision, including its disagreement with the altogether unjustified aspersions OSHA has cast on Norfolk Southern's strong safety record in its findings and in a press release accompanying its findings. NORFOLK, VA. - Norfolk Southern Corporation (NYSE: NSC) has made significant strides in its corporate sustainability program, including achieving nearly 40 percent of its five-year greenhouse gas emissions reduction goal during the first year. The company's progress is detailed in its fourth annual sustainability report, issued today on its environmental website, Footprints, at http://www.nssustainability.com/. The 2011 report describes the strategic efforts involved in reducing the company's carbon footprint and tracks ongoing initiatives to achieve industry leadership in fuel conservation, emissions reduction, efficient energy use, recycling, use of renewable materials, and environmental partnerships. "We recognize that our continued ability to thrive as a business is connected to the health of our communities, our environment, our employees, and our economy," notes CEO Wick Moorman. "In acknowledgement of this common future, we are strengthening our connections with communities and the environment to ensure that the impact we leave - social, economic, and environmental - will be a positive one for years to come." Blair Wimbush, vice president real estate and corporate sustainability officer, writes that the company made gains in its four areas of primary focus. Chief among them was reducing greenhouse gas emissions by 3.9 percent per revenue ton-mile of freight in 2010. The goal is to lower emissions by 10 percent per revenue ton-mile by 2014, with a focus on improving the fuel economy of its locomotive fleet, the railroad's largest source of emissions. In addition, the company improved the energy efficiency of its office and railroad facilities, saw an increase in employee-led recycling programs, and launched an initiative to plant more than 6 million trees in the Mississippi Alluvial Valley, which will serve as a model for future carbon mitigation efforts. "Looking ahead, we're mindful that we can do something beyond fuel-efficiency gains to have a positive impact on the environment and the communities we serve," Wimbush said. "We've decided to make reforestation a central component of our carbon mitigation strategy." Moorman praises employees for the sustainability advances: "Our corporate success - whether in safety, service, or sustainability - is a reflection of the dedication, talent, and hard work of our people. They are the connections that make our network strong now and for future generations." twenty images of the damage Hurricane Irene inflicted on its system and equipment. This is not as timely as it should be. I hope the stolen items have been recovered by now, but I don't know. A gentleman, Gordon Williams, from South Plainfield, was drying his O gauge trains in his yard after Irene, and someone came along and took a PRR Lionel 0-6-0 and a MTH PRR tender. Would anyone having any information concerning this please call 908.561.0407. Your Big Little RR Shop blogger has been having computer problems. I am going to try to catch up now. Thanks for your patience and understanding.